HONG KONG and SHANGHAI, Sept. 24, 2018 /PRNewswire/ -- The second 21st Century Maritime Silk Road Forum on International Communication was held in Zhuhai in 19-21 September. Jean-Pierre Raffarin, former Prime Minister of France and Thomas J. Sargent, the 2011 Nobel Prize winner for Economics delivered keynote speeches at the main forum. 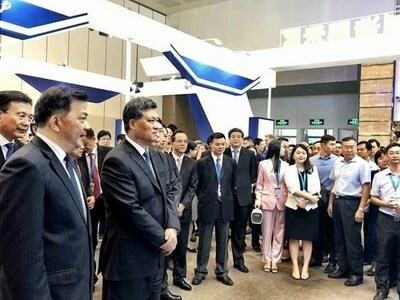 As a leading company in the Guangdong Province, Ping An Insurance (Group) Company of China, Ltd. (hereafter "Ping An" or "the Group", HKEx: 2318; SSE: 601318) was invited to attend the forum to demonstrate its core technology and latest technological achievements. 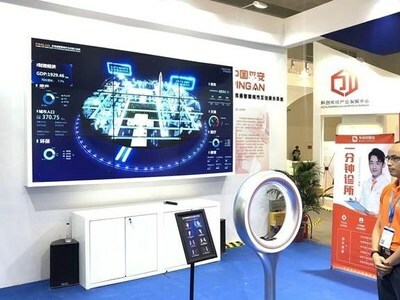 Ping An Smart City, a technology subsidiary of Ping An, showcased its "Panoramic Smart City Interactive System" which enables a better understanding of the pulse of a city during the forum. Ping An Good Doctor unveiled its "One-Minute Clinic" which integrates intelligent doctor consultation and medicine purchasing. The two key technology products have attracted the attention of government officials, guests and international media. In the afternoon of the 19 September, Ma Xingrui, Deputy Secretary of Guangdong Provincial Committee and Governor of Guangdong Province, Shen Haixiong, Vice Minister of the Publicity Department of the Communist Party of China and President of the China Media Group, Guo Yonghang, Secretary of Zhuhai Municipal Committee and other government officials visited Ping An's booth to experience the "Panoramic Smart City Interactive System". To further enhance the Group's technological and innovation capabilities, Ping An has established two technology innovation centres and recruited hundreds of innovators in the east and west coasts of the US since 2017. Its technological innovation team has been expanded to approximately 24,000 members year-to-date. Eyeing on the world's leading financial and healthcare technologies, the Group has also launched the "Ping An Global Voyager Fund". The fund seeks to invest in innovative technology companies that could bring the world's best-in-class financial and healthcare technologies and generate strategies for the Group, and introduce their products and services to China. In recent years, many technologies developed by the Group have been widely recognized by countries and regions along the "Maritime Silk Road". In August, the Group jointly cooperated with the Hong Kong Monetary Authority to build an international trade financing platform based on blockchain technology. This project marked the recognition of Ping An's blockchain technology by its international partner, and also represented the opening up of the Group's overseas market for technology export. Ping An has invested more than RMB50 billion in technological R&D in the past decade. Its patent application has risen to 6,121 year-to-date. 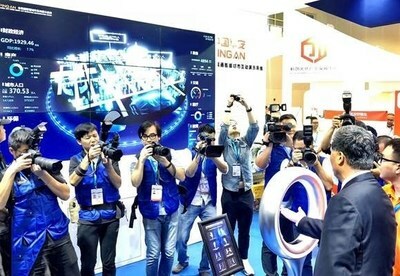 Capitalizing on its four core technologies namely smart recognition, AI, blockchain and cloud computing, Ping An expanded its application scenarios with an aim to improve cost efficiency, enhance risk management, create excellent customer experience, strengthen competitiveness, export technologies and services, accelerate technology commercialization and promote the industry's technology standard. At present, Ping An has widely applied its core technologies to support the Group's five ecosystems of financial services, health care, auto services, real estate services and smart city services. It has also successfully incubated four unicorns including Lufax, Ping An Good Doctor, OneConnect and Ping An Healthcare Technology. Adhering to the government's "Belt and Road" initiative and the Group's "finance + technology" strategic guidance, Ping An will seek to strengthen cooperation with the Belt and Road countries and enhance its competitiveness by vigorously introduce innovative technologies. At the same time, the Group will further enhance its innovation and R&D capabilities, and leverage its four core technologies to contribute to the country and society by servicing the government's Belt and Road infrastructure. Ping An Insurance (Group) Company of China, Ltd. ("Ping An") is a world-leading technology-powered personal financial services group. With 170 million customers and 459 million Internet users, Ping An is one of the largest financial services companies in the world. Under its 'pan financial assets' strategy the company offers customers insurance, banking and asset management through its 'finance + technology' platform. Under its 'pan healthcare' strategy the company uses a 'finance + ecosystem' platform to offer Internet users five ecosystems, covering financial services, healthcare, auto services, real estate services and Smart City services. Ping An is committed to investing in innovative technologies in fintech, AI and cloud to provide customers and Internet users with innovative and simple products and services. As China's first joint stock insurance company, Ping An Group is committed to upholding the highest standards of corporate reporting and corporate governance. The company is listed on the stock exchanges in Hong Kong and Shanghai.